Access to funds when and where you need it, flexible payment plans, affordable rates, exclusive rewards, perks, bonuses - those are just a few of the advantages that credit card holders get to enjoy while using their credit cards on the road. There are plenty of travel credit cards, and choosing the right card can help you maximize benefits and arrive at significant savings. · Choose a credit card that is widely accepted. When traveling, you want a credit card that is accepted in the most number of establishments such as restaurants, hotels, and shops. Credit cards that allow you to withdraw cash at ATMs worldwide add plenty of convenience. · Do you want to earn cash back or miles? Cash back and miles are two most common ways that consumers collect credit card rewards. · Choose a card with excellent online features for convenient yet safe and secure access and monitoring of your account. · A credit card that is designed for travel and international spending can save you money on transaction charges and currency conversion rates. · Compare rewards and benefits designed especially for frequent travelers. · As an added security, compare features on cancellation due to a lost card and how long it takes to receive a card replacement. · Consider sign-up bonuses such as free airline miles and cash back. 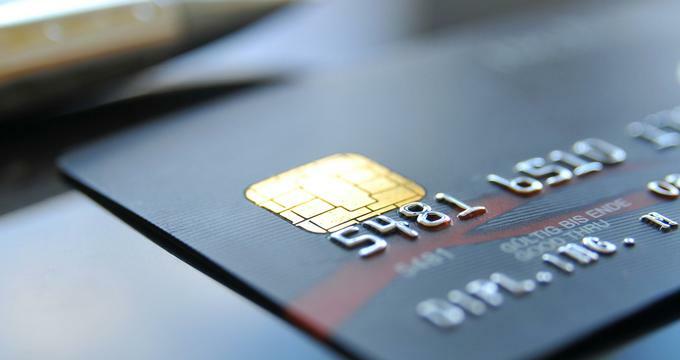 Credit card companies such as American Express, Bank of America, Capital One, Chase, and Discover offer many credit card options designed for frequent travelers. Some cards have features such as low international fees, waived foreign transaction fees, travel bonus upon sign-up, travel points, no blackout dates, and easily redeemable rewards. Frequent travelers can also enjoy plenty of savings by choosing the credit card that yields the most amount of rewards per dollar spent. Credit cards that allow credit card holders to earn airline miles redeemable for international or domestic air travel expenses can result in hundreds of dollars, and sometimes even thousands of dollars, of savings. There are some credit cards that let you earn rewards points that are convertible to airline miles with daily purchases such as grocery items. For new credit card holders, there are package features that offer a sign-up bonus of tens of thousands of airline bonus miles. Aside from the types of purchases that allow you to earn airline bonus miles, an aspect to consider when choosing an airline miles card is your travel arrangements. Some credit cards offer airline miles redeemable from multiple airlines, while there are cards designed to earn you double the points only on one specific airline. So planning ahead on whether you are going to spend your airline miles bonus points earned with one specific airline or with different airlines can also help you decide which airline miles credit card best suits your needs. There are also travel features such as hotel booking discounts and restaurant promo that airline credit card holders can enjoy. Credit cards such as American Express Gold Delta Sky Miles, Southwest Airline Rapid Rewards, The JetBlue Card, and Chase Sapphire Card offer different rewards packages designed for travelers. Aside from earning frequent flyer points and rewards redeemable as airline tickets from your regular purchases, credit cards designed for travel also let you enjoy additional perks, savings, and even bonuses as you buy your airline tickets, or when booking you reservations and accommodations, and during travel itself. Cards with attractive sign-up bonuses let you save up to $200 USD on travel fares alone. Some also offer discounted membership fees on resorts, or priority bookings which not only adds convenience to planning and scheduling your trip, but also helps you save plenty of time and money. Credit cards designed for travel can also get you exclusive access to airport lounges in over 100 countries across the globe. Enjoy the convenience of priority booking, free luggage check-in, priority boarding, waived annual credit card fees, and more travel perks and bonuses. Credit cards that offer the best travel rewards perks and bonuses which include lounge access and membership perks include: American Express Platinum Card, Gold Delta Sky Miles American Express, United Mileage Plus Explorer, Southwest Airlines Rapids Rewards, and Chase Sapphire Preferred Card. 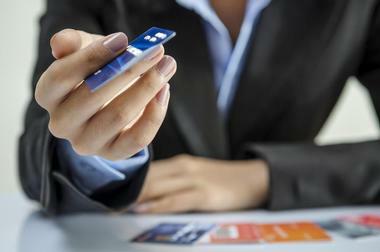 To take advantage of credit cards designed for travel, an applicant must have a good credit score. Once assessed eligible, the successful applicant can enjoy all the perks and bonuses that are included in the approved package. Aside from a sign-up bonus of airline mile points or equivalent bonus points, successful credit card applicants can also enjoy discounted or waived annual fees for a period of time. Credit card annual fees of cards designed for travel range between $0 USD to $450 USD. There are credit card companies that waive the annual membership fee during the first year of membership, allowing successful credit card applicants to enjoy significant savings. Credit cards that waive annual fees during the first year include Chase Sapphire Preferred Card and Bank Americard Travel Rewards. These cards also showcase a rewards package designed for travel rewards, expenses, spending, and bonuses. A very important aspect that frequent travelers must look into when choosing a credit card are international fees, currency exchange rates, and other applicable fees incurred in transactions during travel or international purchases. Finding out how these rates and fees vary can save you plenty of money. Credit cards offered by American Express, Chase Sapphire, Capital One Venture, and BankAmericard Travel Rewards Credit Card offer various waived international transaction fees, travel rewards, discounted fees on foreign transactions, easily redeemable rewards, among other features. Compare and find out which credit card package offers the best rates on international foreign transactions to find out which credit cards is most ideal to use for travel. A credit card feature that is often used by frequent travelers is its cash advance feature. This feature allows credit card holders to take out a cash advance at an ATM. This type of transaction may include transaction fees and charges. There are credit cards that offer installment plan packages applicable to credit card cash advances. Some credit cards may also include features such as waived or discounted rates on transaction fees, interest rates, and other fees. When planning your trip, find out which credit card allows you to withdraw cash via an ATM. Rates and fees per transaction may vary from one card to the other, so finding out which cards offer the best rates can save you money while allowing you convenience access to readily available cash anytime, anywhere. Debit cards, which basically function the same way as credit cards when it comes to convenient access and wide acceptance, also allow you access to readily available cash when traveling. Debit cards, however, need to be pre-funded with the amount to be withdrawn. Moreover, debit cards usually don't have all the features that credit cards offer. For example, when renting a car, debit cards may not cover the Collision Damage Waiver (CDW). Some credit cards may not cover it either so if you are a frequent car rental customer, this is an important point to consider when picking the best travel credit card for you. The convenience of credit cards over debit cards when used for travel expenses is not only with the rewards packages, bonuses, and perks that credit card account holder can use. In the case of stolen or lost card, purchases, cash advances, and other transactions incurred by the lost credit card can be identified and reverted. These features provide credit card holders an increase security and convenience when using their credit cards abroad. Many credit cards even offer express delivery of actual credit card replacement in the event that a credit card is lost or stolen. Credit card companies such as American Express, Capital One, Chase, and Bank of America offer a wide range of product features, rewards programs, perks and bonuses that credit card holders can enjoy. Find out which combination of features, rewards, and bonuses are most ideal for your needs. Compare sign-up bonus package offers which you can use for travel expenses. Find out how to earn travel points. Credit card companies that let you access cash via a cash advance feature at ATMs add plenty of convenience. Compare how applicable fees vary from one transaction to the other when traveling in the United States and abroad. Credit cards designed for travel provide convenience and safe access that lets you enjoy various perks and bonuses that are easily redeemable.